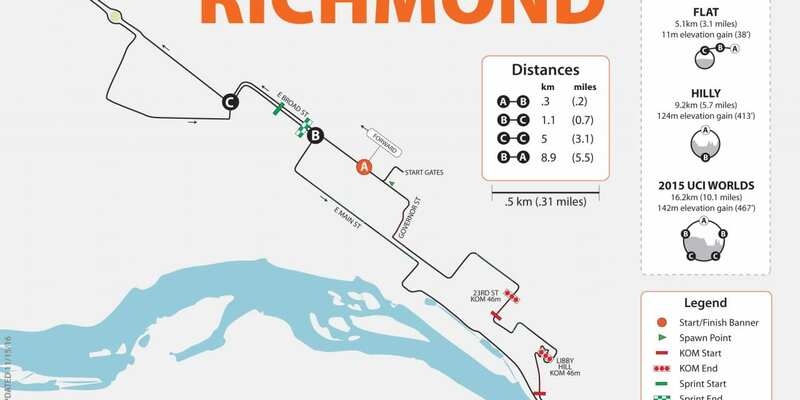 Buy a 24×36″ poster of this map! 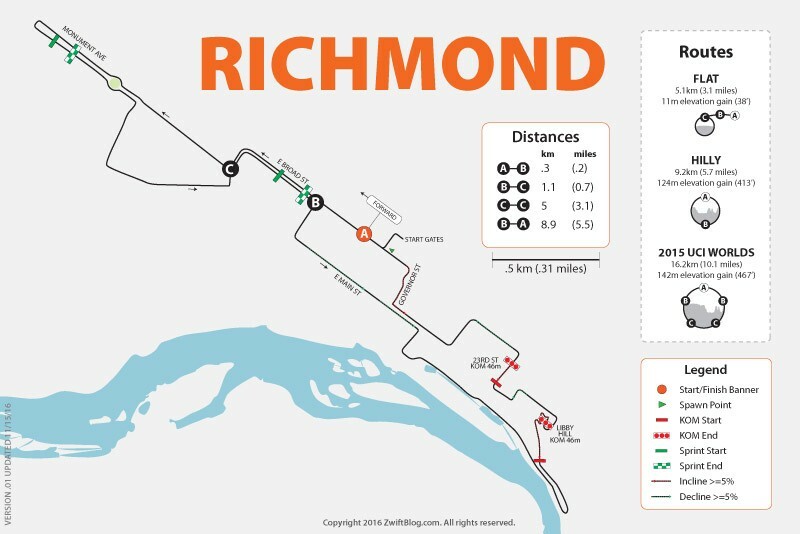 Below you will find links to the latest version of the Richmond course map, which you are free to print for your personal use. v.01, 11/15/16: created and posted the initial map with major features marked. Thank you so much! All of your maps have been of great help to my training. Thanks for all of the work on the maps! They are very helpful. Any news on any new courses coming up? I was hoping we would get Doha after the worlds. Hoping some new stuff comes for the trainer season! I do a lot of group rides and find my avatar pushed off the road quite often. Since there are no cars in watopia im wondering why we are riding on traditional roads. Think outside the box guys. Each side could be double the width of a normal road.